Why you should NOT rely on allergy tablets (to cure your allergies)! 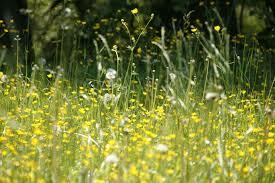 Allergy sufferers have many options to relieve their symptoms. The type of allergy you are dealing with will determine how effective it is. Allergy tablets are a common treatment option for individuals who are looking for immediate relief of their symptoms. The problem is there are as many combinations of symptoms as there are allergy remedies! 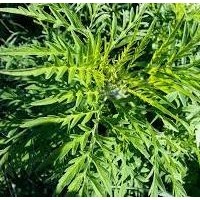 So this article is to help you learn about which one works best and how effective they are providing the relief from allergies! What Are Allergy Tablets Designed To Do? 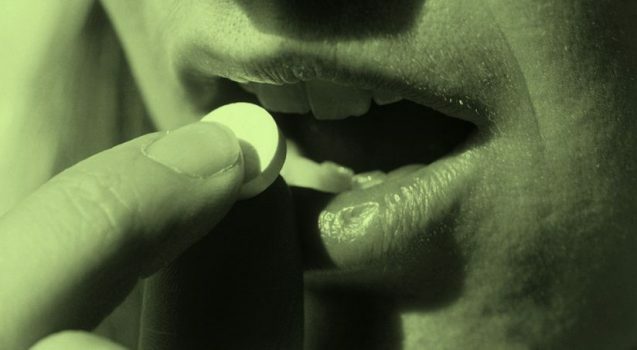 Most allergy tablets are designed to relieve your symptoms but they do nothing to build up your immunities. This means that your symptoms will return, day after day. 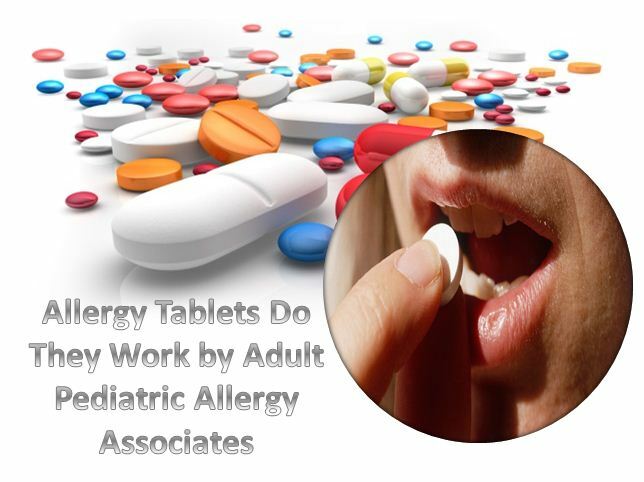 Another problem is that each type of allergy tablet is designed to do certain things. Some may treat itchy, watery eyes and a runny nose, while another type of tablet relieves headaches and opens up your airways. It can be difficult to know what allergy tablet to use if your symptoms change from day to day. Different types of allergies require different treatment methods. Allergies that affect the upper respiratory system can cause difficulty breathing, sneezing, wheezing, watery eyes, and a variety of symptoms that are similar to a cold or the flu. Allergies that affect the skin can cause hives, rashes, and red patches that are red and inflamed. Uncontrolled itching is often the most common system and can result in open wounds if the area is scratched or irritated. Allergies of the gastrointestinal system can affect the body in many different ways. They may result in hives, symptoms associated with upper respiratory allergies, or severe abdominal cramping and diarrhea/constipation, depending on how your body responds. What Are The Most Effective Treatment Methods? IMPORTANT: If you want to effectively relieve allergy symptoms, you need to control how your body responds to the allergens — which ALLERGY SHOTS provide the most help with! Immunotherapy such as custom prescribed allergy shots (which is what Dr. Habib and Dr Alasaly often suggest) is just one-way doctors are now helping allergy sufferers overcome their symptoms. It can be used to help build the antibodies that are needed to reduce the effect allergens have on the body. If you suffer from any type of allergy, contact our allergy & asthma medical offices to find out exactly what your options are. The facility offers various types of allergy testing that can be used to determine what allergens affect you and the best way to treat each one. Once the doctors have the answers, they can formulate a treatment plan to help manage your symptoms and reduce your body’s reactions to the allergens you’re exposed to on a daily basis. Get the relief you need today! 5 things to know about children allergies! Allergies affect us all a little bit differently. Perhaps you grew up with an allergy, or maybe discovered some along the way. Early detection of allergies in children is always best, as it helps you, are parents, prepare for the situation and understand exactly what is happening with your child. There’s nothing worse than seeing your child sick or suffer from a reaction without knowing what’s causing it. That’s why it is so important for you to know more about pediatric allergic rhinitis and other symptoms. The more you know about children allergies, the better off you can treat your child and be there for them, should they ever experience an allergic reaction. 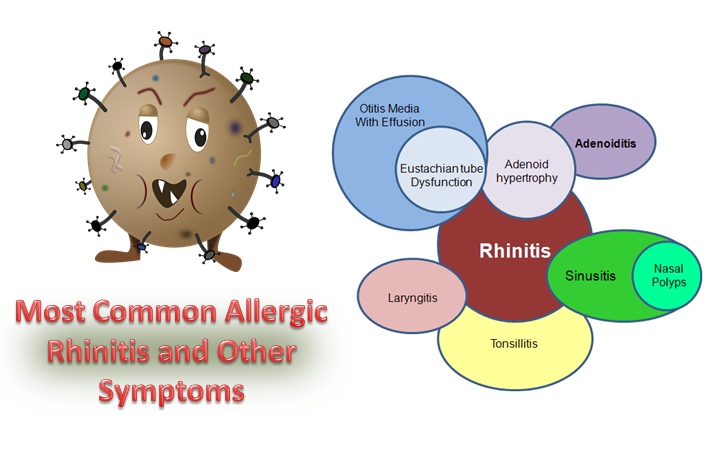 What is Pediatric Allergic Rhinitis? The symptoms attached to this are likely familiar to you. When suffering from it, there is an inflammation of the mucous membrane within the nose. This leads to a stuffy or runny nose, sneezing and even a post-nasal drip. These kind of symptoms are some of the most common allergic reactions. If your child begins to suffer from these symptoms and yet it is not cold and flu season, or they don’t have any other displays of a cold, there’s a good chance they are suffering an allergic reaction. These kinds of reactions are common when allergic to pets (such as cats), or if there’s a mind allergy to certain foods. In more extreme cases, pediatric allergic rhinitis may also lead to some coughing, itching and headaches. Your child may suffer from puffy, itchy or watery eyes as the mucus membranes do run through the eyes. These symptoms are also common during allergy season, when pollen and dust are present. When your child first displays these kinds of symptoms it is highly recommended to come in and have an allergy test performed. This way, it’s possible to not only determine whether or not the symptoms are caused by an allergy, but what the allergy may be. Food allergies are a growing commonality. It occurs when the immune system sees a specific food as a threat and responds to the new danger. In many cases, it is possible to slowly expose the body to certain foods over a long period of time in order to reduce, or completely eliminate the symptom. 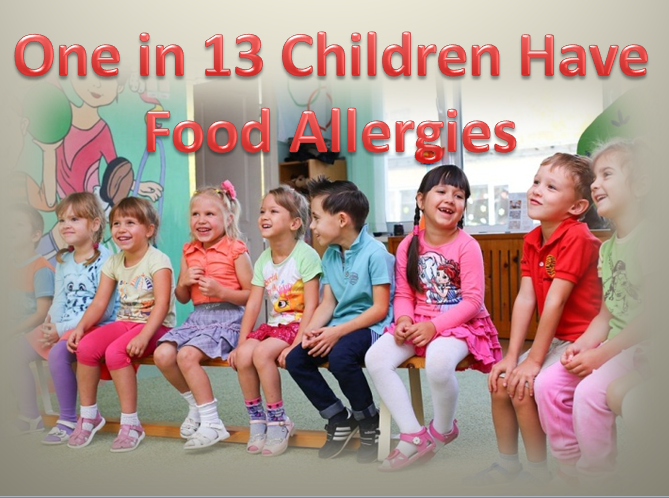 The most common food allergies children experience revolve around peanuts, milk, eggs, tree nuts (like walnuts), wheat, soy, fish and shellfish (shrimp, lobster and crab). Allergies to soy, milk and eggs are some of the more common allergies children may outgrow. However, allergies to peanuts, shellfish, tree nuts and fish are allergies, according to Kids With Food Allergies (2017) are less likely to grow out of. Both you and your child want to avoid allergic reactions. No matter how much your child might want to enjoy the ice cream or scrambled eggs, if there is an allergy to these foods the reactions can vary from mild to life threatening. This is why it is important for your child to be tested for allergies in order to see what foods bring the highest level of risk. After discovering how certain foods affect your child, it is then necessary to take steps in order to avoid reactions. The top priority for avoiding allergies, if food based, are reading labels. Knowing how to read food labels is important. Most foods indicate whether or not there are peanuts, soy, milk, eggs or other common allergy based foods within the product. However, whenever buying a new kind of food it is always important to read the ingredients. When at restaurants, it’s necessary to ask about what ingredients are used in foods. Restaurants are required to provide these answers when regards to allergies. For allergies connected to dust, dander and pollen, maintaining a clean house is important, as is regular dusting and vacuuming. Changing out the filters within the vacuum helps prevent dirt from being kicked back into the air. It’s also important to invest in high-quality air filters for the home’s HVAC system. Above everything else, the best way to avoid reactions is to educate your child on how to manage their allergies. The younger you start with your child, the earlier they will grasp the concept of allergies. It is also important to teach your child how to use the epinephrine auto injector if they are having an allergic reaction. You would do anything for your child. You want to keep them safe and pain free, which is why understanding their allergies is very important. That is why you need to have your child tested early on for allergies, especially if they show signs of pediatric allergic rhinitis or other common symptoms of allergies. Raw honey has been used as medicine since the start of written history. Organized beekeeping began 9,000 years ago and humans have long relied on the substance as a sweetener. Although people still consume honey today, few know about its myriad of health benefits. In fact, most people buy “honey” that contains zero honey! Real honey can help with everything from sore throats to allergies. To take advantage of the health benefits of honey, it’s important to buy the proper kind. Most honey sold in stores is actually flavored corn syrup or honey that’s been diluted and pasteurized. It’s critical that you purchase raw honey (the only ingredient should be honey). Look for local farms or hobbyist beekeepers–these sources will not only have high quality products but will be cheaper than organic honey from the grocery store. Honey is very good at reducing inflammation and soothing the throat. Next time you have a cold or the flu, try stirring a couple teaspoons of raw honey into your tea. It’s also fine to simply swallow a spoonful. In several studies, researchers found that raw honey was actually more effective at soothing a sore throat than cough syrup. Besides, honey tastes a lot better than cough medicine! Interestingly, there are multiple studies on raw honey as an antibacterial disinfectant. 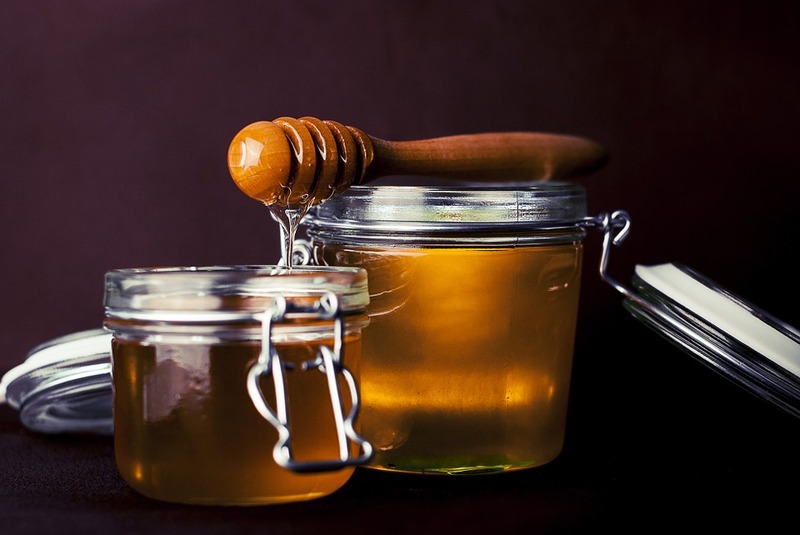 Honey was traditionally used to disinfect wounds and the method still works today. It even works on antibiotic-resistant bacteria, making it a good treatment when modern medications don’t work. As antibiotic resistance becomes more common, many doctors are evaluating the use of raw honey as a possible treatment for topical infections. There’s also some good news for allergy sufferers–raw honey can help reduce allergy symptoms. In a recent study, raw honey ingestion was compared to a flavored corn syrup placebo. The participants who had regularly consumed honey had a significant reduction of seasonal allergy symptoms. Some scientists and naturalists believe that local honey is the best for fighting off allergies. The reasoning is that honey produced nearby will have pollen from local plants. 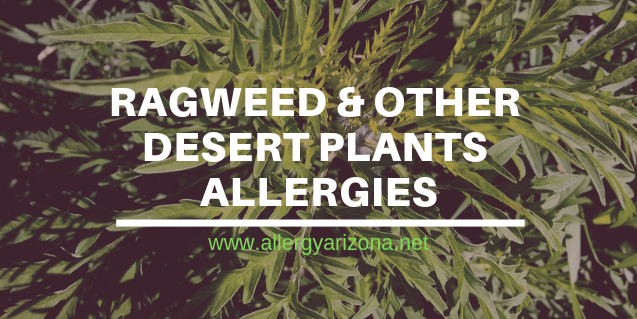 This exposes your body to small doses of the allergen, allowing you to build up a tolerance. Either way, honey seems to be just as effective as many over-the-counter allergy medications. Honey has been scientifically proven as a treatment for sore throats, coughs, and allergy symptoms. It can also be used as a topical disinfectant. There are anecdotal stories of raw honey improving moods and helping with digestive problems. The sweetener also contains a wide range of antioxidants, vitamins, and minerals. Are you looking for other helpful solutions to treat your allergy symptoms? Please call our office for an appointment at one of our 5 Phoenix clinics. Our doctors are Board Certified allergy specialists who know a thing or two about the best allergy treatments for sufferers!